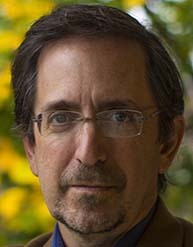 ANDREW REVKIN (2013-2019) is Strategic Advisor for Environmental and Science Journalism for the National Geographic Society. He was previously the senior reporter for climate and related issues at ProPublica.org. He joined the prize-winning public-interest newsroom after 21 years of writing on the environment for The New York Times, most recently through his Dot Earth sustainability blog. As the Senior Fellow for Environmental Understanding at Pace University from 2010 until 2016, he taught courses in blogging, environmental communication and documentary film. He has written acclaimed books on global warming, the changing Arctic and the Amazon rain forest, as well as three book chapters on science communication. Revkin has won most of the top awards in science journalism, a Guggenheim Fellowship, Columbia University’s John Chancellor Award for sustained journalistic excellence and an Investigative Reporters & Editors Award.